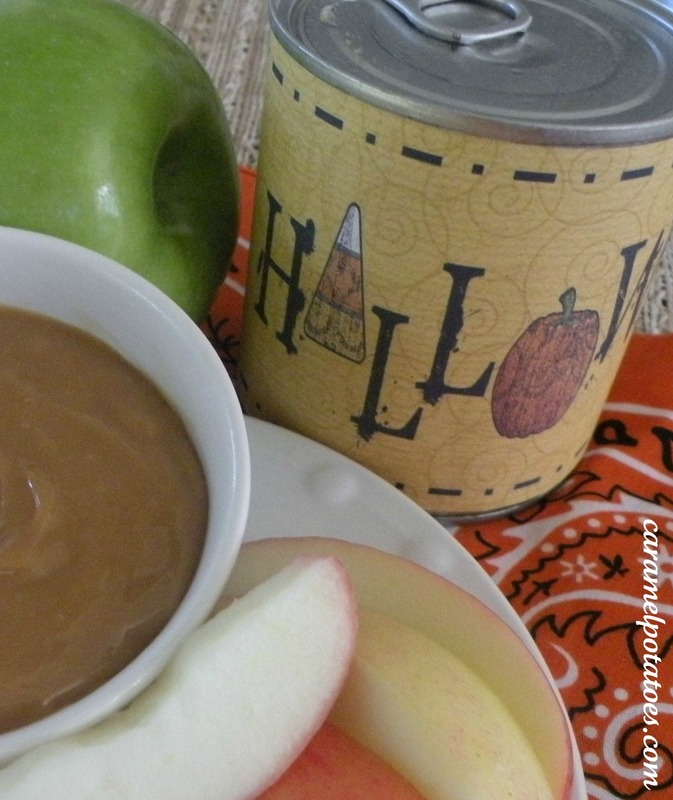 Sweetened Condensed Milk – that’s it! Boil the cans for 2 1/2 hours. (Watch to make sure the water doesn’t evaporate below the cans – if it gets close just add hot water to the pot and continue to boil). Remove and cool completely (overnight). Print out the labels below, trim and use a little double-sided tape to adhere. There is a Halloween Label and a Fall Label. Note: We recommend printing the can labels on regular paper rather than card stock so it will wrap around the can better. 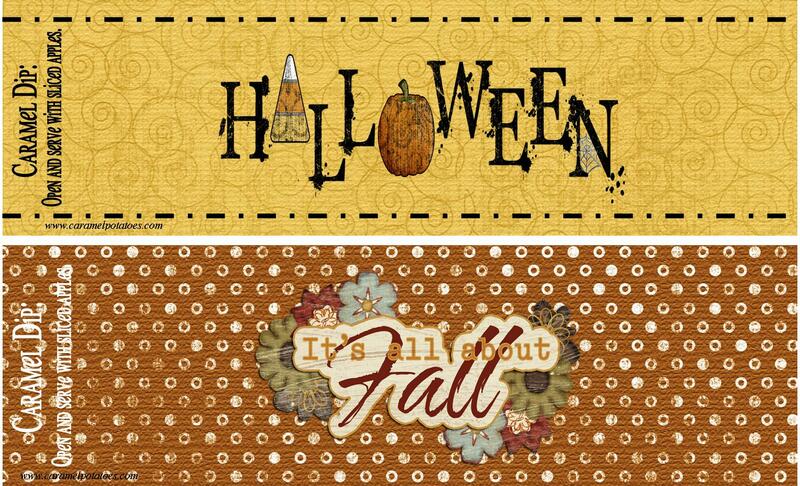 Tags and labels created with Graphics from SummerTimeDesigns be sure to check out her site! 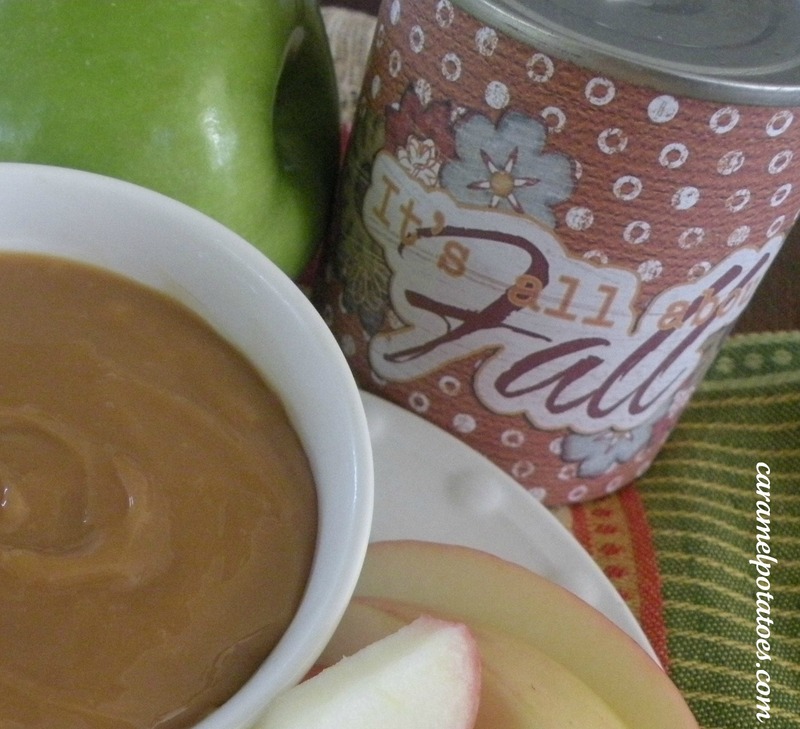 Wow, what a great idea and I never knew you could make caramel this way. 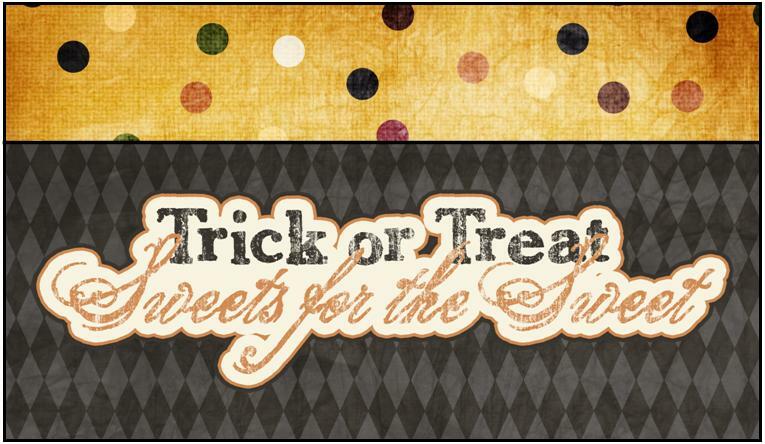 Thanks so much for sharing am a happy new follower from Tasty Tuesday. This is adorable. Thanks! I never knew you could make it without opening the can. What a great idea…I just pinned this to my Pinterest board! Wow, what a great idea, I might just do this! THanks for showing off! What a great idea! I’m making homemade Kahlua as a gift too, which has to simmer for 3 hours, so I can have both large pots cookin’ at the same time now! Caramel and Kahlua. Hmmm…sounds kinda good together… Thanks for the great idea. 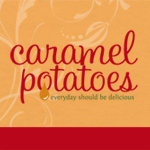 Caramel Potatoes » Caramel Dip for Apples Cooked in the Can (and printable labels) has been added to my own favorites. I can not wait to learn even more about this topic. Hey there, this is a great post. 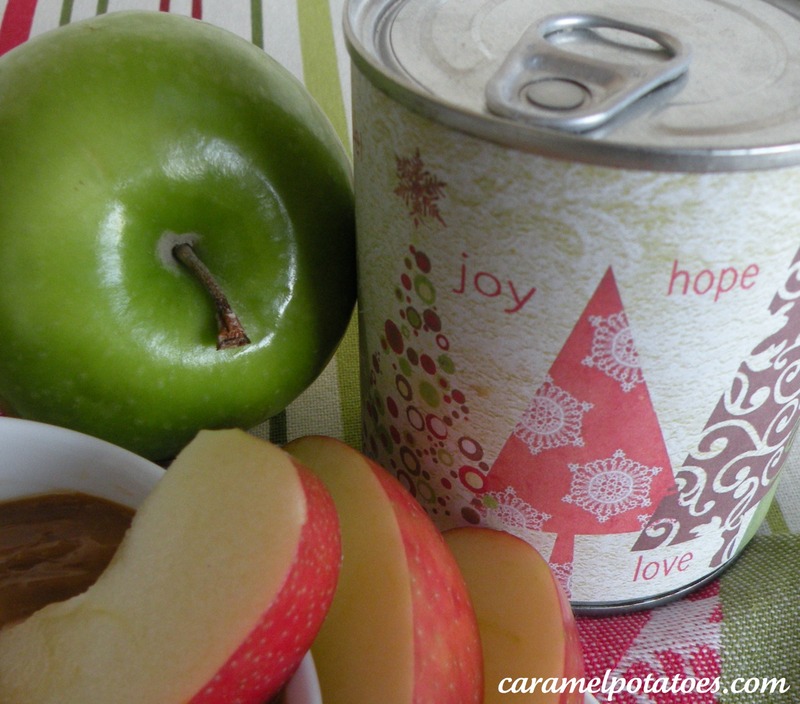 You receive my vote for Caramel Potatoes » Caramel Dip for Apples Cooked in the Can (and printable labels) and also I’ll bookmark your blog now. This is the coolest idea EVER! I can’t wait to try this! Thank you for sharing your talents! Sweet! 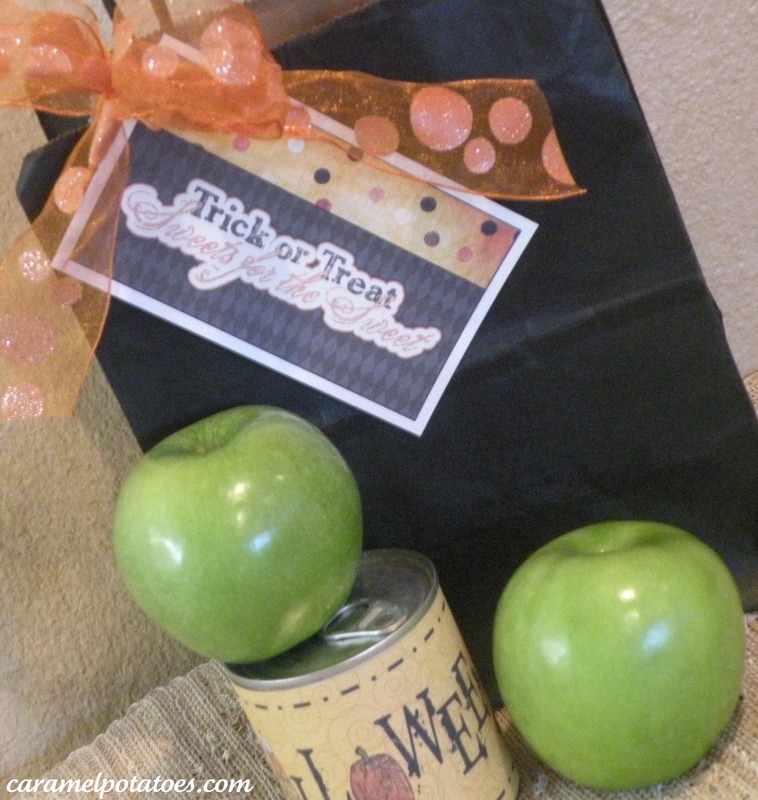 I’ve seen the caramel idea before…but I LOVE the idea of labels for apples and halloween. Great idea! 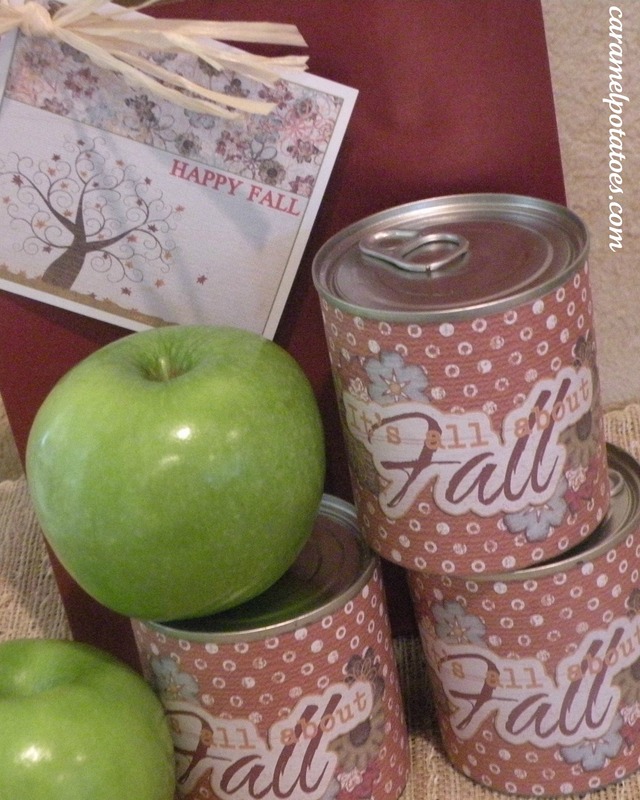 I am going to make these for my daughters bridal shower….what size can is used in this process…and printable? Char – What a fun gift! Use the 14 ounce can. Sounds great! I can’t print the Christmas labels. Links have been updated 11/15 – Thanks! !